Peter graduated in 1974 gaining initial experience at the Queen Elizabeth Hospital and then in Mr Geoffrey Maitland’s practice, the founder of the Maitland approach. Peter began his private practice in 1978 at Holden Hill. Roberts Physiotherapy grew rapidly and Peter was the instigator of the formation of the Paragon Health Centre as it stands today. Teaching has been a major commitment for Peter and he has been teaching continuously on the undergraduate and postgraduate programs at the School of Physiotherapy since 1980. In 1998, Peter was awarded the qualification of titled Sports Physiotherapist. In 2002, Peter completed the Masters in Applied Science in Physiotherapy (by research thesis titled “Single Leg Stance”). More recently in 2007, he completed the requirements of a specialist musculoskeletal physiotherapist (as awarded by the Australian College of Physiotherapists). 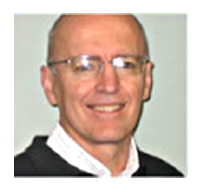 Currently, Peter is a visiting lecturer and clinical tutor on the Masters in Sports and Musculoskeletal Physiotherapy program at the University of South Australia. Peter is frequently invited to lecture and tutor on training programs for Physiotherapists. He has been involved in the Spinal Course conducted by Musculoskeletal Physiotherapy Australia (a national group of the Australian Physiotherapy Association). 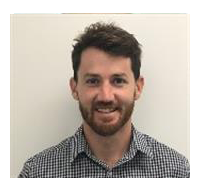 As only one of two consulting Musculoskeletal Specialist Physiotherapists in South Australia, Peter is actively involved in the tutoring and mentoring of other Physiotherapists seeking to gain this qualification. A passionate meticulous approach to solving musculoskeletal problems with excellent results has resulted in Peter being highly sought after by Specialists, Medical Practitioners and clients. Personal Interests: Family, squash, fishing. Jack Graduated from UQ in 2012 and immediately took up a split private and public role in the Southern NSW coastal town of Merimbula. Here Jack developed a passion for musculoskeletal physiotherapy with a particular interest in persistent pain conditions. Jack has done ongoing training in this area and was part of developing a successful pain program in the Bega Valley. Over the last 2 years Jack has been applying his trade in sunny England, where has developed further knowledge in treating a wide array of musculoskeletal problems. He also developed in interesting in running and was lucky enough to complete several marathons while overseas. Jack has recently settled in Adelaide after spending the last 4 months living in the back of his van around Europe. As an advocate of physical activity he likes to apply an active approach to treating his patients and specialises in developing strength and exercise programs to promote long term change. 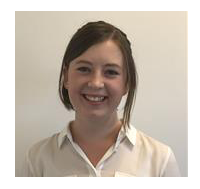 Emily has a particular interest in active-based physiotherapy and helping people achieve their personal goals. Emily was a long term student representative of the Australian Physiotherapy Association (APA) for South Australia. She has experience in hydrotherapy and rehabilitation after working in a rehabilitation hospital for 2 years. She also seeks to give back to the Physiotherapy community and volunteers her time for multiple events, most recently at a training camp for The Invictous Games aspiring athletes. Emily’s passion for travel has taken her to many parts of the globe, and she has lived in many different countries and cultures, enjoying the food, adventure and new friends!